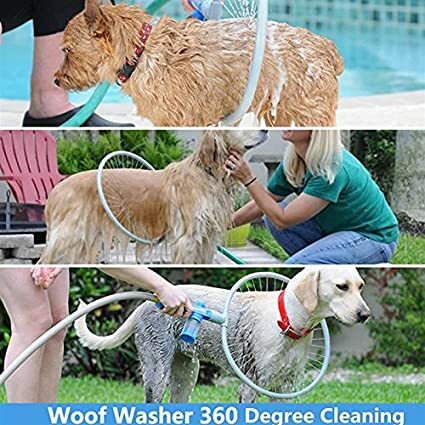 This offer includes the Woof Washer 360, the best pet grooming tool for safely and easily washing and rinsing dogs of all sizes in less than one minute. 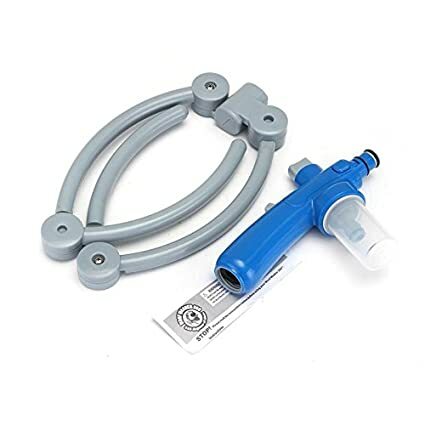 Just attach Woof Washer 360 to any garden hose and add the dog shampoo of your choice to the dispenser. 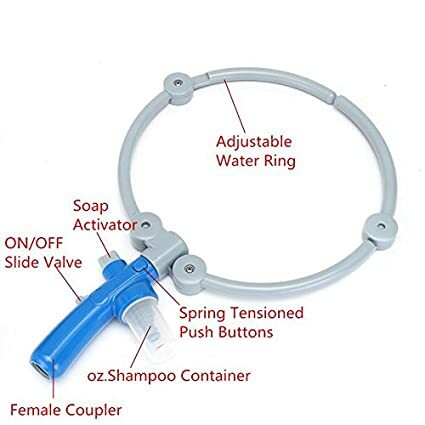 Slip the hoop over your dog and slide to turn on; the shampoo and water mix instantly to wash your pup from head to toe using Woof Washer 360s suds and rinse modes. Woof Washer 360 makes the cleansing process gentler and faster; mobile pet grooming Woof Washer 360 washes hard-to-reach areas. Washing your pet will be a chore no more with the Woof Washer 360, one of our most popular pet supplies on the market.